Our dispensary has over 4,000 frames in stock. We have frames that are metal, titanium, plastic, drilled rimless and grooved rimless. Our team of highly experienced opticians and eyewear fashion consultants will guide you through all the many frame and lens choices to help you find the perfect size, comfort, color, and style that fits your price range. We carry more than just everyday glasses; we offer safety eyewear that can help protect your eyes from unexpected eye injuries. We also offer sport glasses, dive goggles, respirator inserts and other types of safety eyewear that meet OSHA and ANSI guidelines and standards. 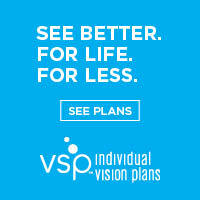 We are your one stop shop for specialty eyewear.